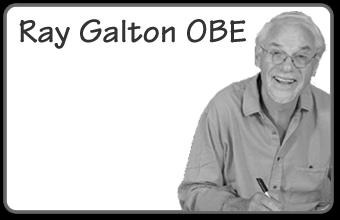 We are deeply saddened to hear of the death of Ray Galton. Ray, with his writing partner Alan Simpson, has earned a unique place in British comedy history. It is not an over stated claim to say that Ray changed the face of situation comedy. Hancock’s Half Hour and of course Steptoe and Son are landmark shows. It was with Steptoe that Ray and Alan took the innovative step to use serious actors rather than established comedians and in doing so paved the way for many of the comedies that followed. 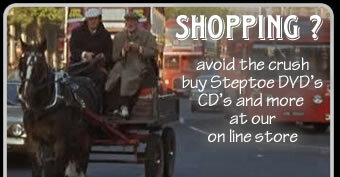 Many have commented that "Only Fools and Horses" owes much to Steptoe. Ray’s last work to our knowledge was the much acclaimed ‘Murder in Oil Drum Lane’ which brought the Steptoe saga to a close. It was written with former Associated London Scripts member John Antrobus. While Ray will be sorely missed, like Harry and Willy before him his memory will live with us forever. We hope he is at peace in the great rag and bone yard in the sky. We send our condolences to his family and friends. With the passing of Alan Simpson in February 2017 - there will be no more scripts but Ray and Alan's work will last forever. 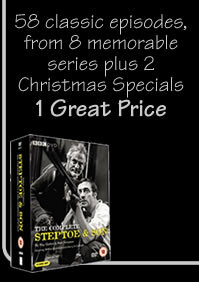 "The Official Home of the Steptoe and Son Appreciation Society"
I grew up with Steptoe and Son. My family like the rest of the nation were avid fans. 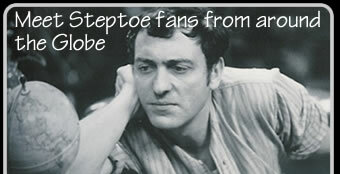 In the late 1960’s with only two TV channels to choose from people shared TV experiences with each other and Steptoe was something the nation loved and talked about. 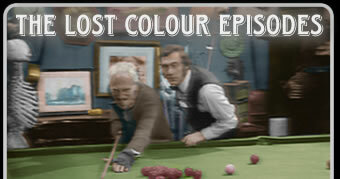 I was 12 when the series ended, and although the BBC repeated many of the shows (except the ones they lost of course!!!) there was nothing for many years that came close. Now I feel that with a little extra time on my hands, and looking for something different to do, I can do nothing better than to create a tribute website to the six men who have given me endless hours of pleasure. So here’s to Albert, Harold, Wilfrid, Harry, Ray and Alan................. Thank you.